MyBayCity.com Where The Hell Is My Cell Phone? I lost my cell phone the other day . . . It's strange, the process you go through when you lose something. 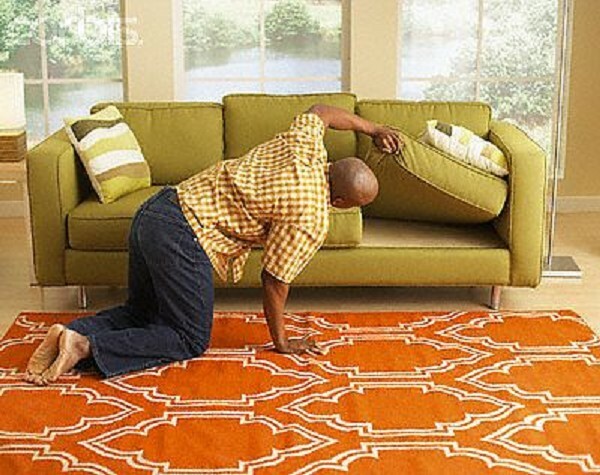 Here's the process that runs through my mind, right after that daunting question, "Where is my phone?" 1. It must have been the dog! 2. IT WAS . . . RIGHT . . . THERE!!! 3. My wife must have moved it! 4. I'm telling you IT WAS . . . RIGHT . . . THERE!!! All of the above are never true. It's never the dog, the dog doesn't care about my phone, he only cares about one thing. The Dog. It obviously was RIGHT THERE at one point, but it's not there anymore. Someone must have moved it. When I reach the point of accusing my wife that she moved the phone, I start to enter dangerous territory. The mind then plays tricks and you begin to look in the craziest places! The Dryer . . . Like it might magically appeared there. Suddenly you realize if you don't find your phone you'll have to start Angry Birds all over again! Continue searching . . .
Did I check in the dryer yet? Call 7-11, see if you left it there. After all this is said and done, you find the phone . . .